As the moon passes through the earth's shadow, starting around 11:40 p.m., it will change into a blood red color. The phenomenon scared many ancient cultures that feared it was a bad omen. Additional viewing opportunities might be held by the Buffalo Museum of Science at the Tift Nature Preserve - but it depends on weather conditions. Watch the Tift Nature Preserve Facebook page for updates. 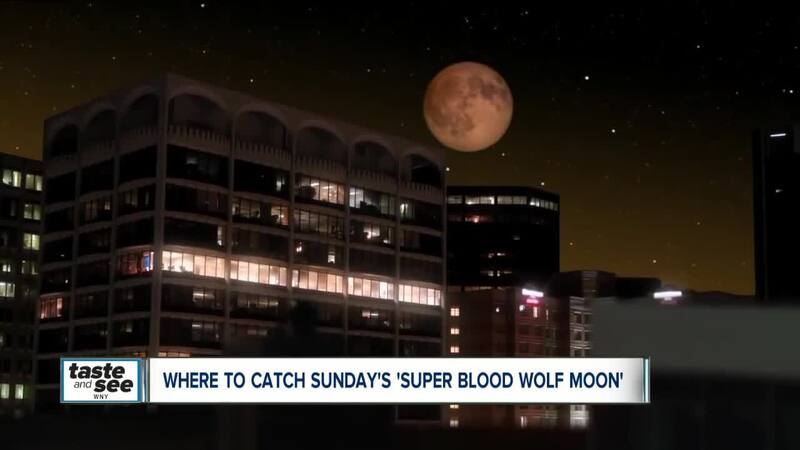 Unfortunately, weather conditions could prevent viewing of the 'Super Blood Wolf Moon' in our area.